A couple of missing wives—one a rich man’s and one a poor man’s—become the objects of Marlowe’s investigation. One of them may have gotten a Mexican divorce and married a gigolo and the other may be dead. Marlowe’s not sure he cares about either one, but he’s not paid to care. He’s paid to find out what happened. First published in 1943, it is the fourth book in a series penned by Raymond Chandler. The man is a legend. He started his career as a writer in 1932, at age forty-four, after losing his job as an oil company executive during the Depression. Three of Chandler’s novels are often considered to be masterpieces of detective fiction: Farewell, My Lovely (1940), The Little Sister (1949), and The Long Goodbye (1953). This one isn’t among them and I completely understand why. A second rate Chandler novel which ending seemed to me ridiculous even though the prose was flowing nicely for most of the story. Still, mind you, a second rate Chandler remains way better than first rate of many other whodunit authors. 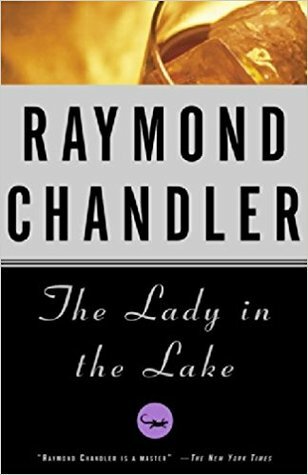 This entry was posted in book review, classic, crime, mystery, whodunnit and tagged lady in the lake, meh, raymond chandler, reviewing a classic, second rate. Bookmark the permalink. I’ve never tried Chandler. Even the movies based on his books don’t really appeal to me. But that’s one helluva quote. I agree. Still one quote is not enough to hold the whole novel. That’s a shame. The title of the book grabbed me, but your review says to me I should stick to my already teetering pile of books to be read. If you ever feel like reading an old-fashioned whodunnit try ‘Farewell My Lovely’.